Dyslexia, also known as reading disorder, is a learning disability characterized by a person having trouble with reading despite normal intelligence. Problems may include difficulties in spelling, reading quickly, writing words, “sounding out” words in the head, pronouncing words when reading aloud, and understanding what one reads. Often these difficulties are first noticed at school. The difficulties are involuntary and people with this disorder have normal desire to learn. The cause of dyslexia is believed to involve both genetic and environmental factors. Some cases run in families. It often occurs in people with ADHD and is associated with similar difficulties with numbers (dyscalculia). It may begin in adulthood as the result of a traumatic brain injury, stroke or dementia. The underlying mechanisms are problems within the brain’s language processing. 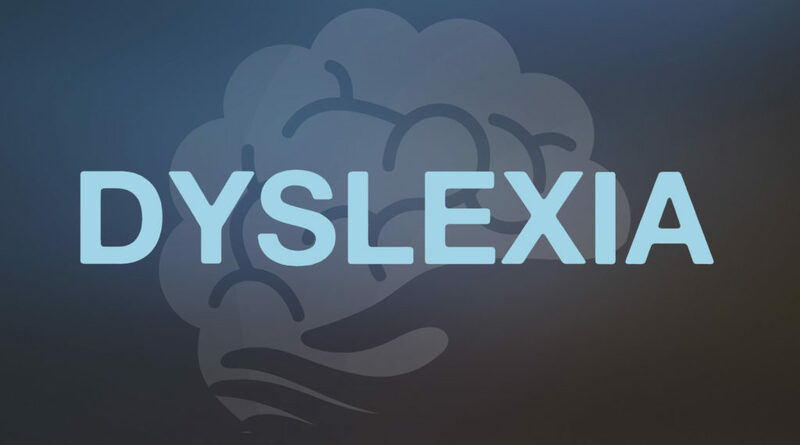 Dyslexia is diagnosed through a series of tests of memory, spelling, vision, and reading skills. Dyslexia differs from reading difficulties caused by insufficient teaching, or hearing/vision problems. Started in 1963 by a group of parents and professionals, The Learning Disabilities Association of America (LDA, http://ldaamerica.org) visualizes a world in which: all individuals with learning disabilities are empowered to thrive and participate fully in society; the incidence of learning disabilities is reduced; and learning disabilities are universally understood and effectively addressed. LDA’s mission is to create opportunities for success for all individuals affected by learning disabilities and to reduce the incidence of learning disabilities in future generations. The International Dyslexia Association (IDA, http://eida.org) is an international organization that concerns itself with the complex issues of dyslexia. Its members include a variety of professionals in partnership with dyslexics and their families. The IDA promotes effective teaching approaches and related clinical educational intervention strategies for dyslexics, and facilitates the exploration of the causes and early identification of dyslexia. The National Center for Learning Disabilities (http://www.ld.org) was founded in 1976 by Carrie and Pete Rozelle. The NCLD’s mission is to improve the lives of the one in five children and adults nationwide with learning and attention issues—by empowering parents and young adults, transforming schools and advocating for equal rights and opportunities. It works toward creating a society in which every individual possesses the academic, social and emotional skills needed to succeed in school, at work and in life. The National Institute of Child Health and Human Development (NICHD, www.nichd.nih.gov) was established by President John F. Kennedy, with the support of congress, in 1962 to study the “complex process of human development from conception to old age.” In pursuit of its broad mission, the NICHD conducts and supports laboratory research, clinical trials, and epidemiological studies that explore health processes; examines the impact of disabilities, diseases, and variations on the lives of individuals; and sponsors training programs for scientists, health care providers, and researchers to ensure that NICHD research can continue. The goal of the Yale Center for Dyslexia and Creativity (http://dyslexia.yale.edu/whatisdyslexia.html) is to uncover and illuminate the strengths of those with dyslexia, disseminate information, practical advice, and the latest innovations from scientific research, and transform the lives of children and adults with dyslexia. Understood (https://www.understood.org/en/about) is an organization whose goal is to help the millions of parents whose children, ages 3-20, are struggling with learning and attention issues. Its website offers well-researched, practical information, access to expert advice that’s free of charge, clearly communicated and never influenced by commercial interests, and a secure community where parents can trade tips and experiences with other parents like them. The Neuro-development of Words, or NOW!, (www.nowprograms.com) Company provides research-based programs to prevent or improve learning difficulties and enrich language skills for children and adults. Their programs are designed for easy implementation in classrooms, small groups, or one-on-one settings. Their programs have also helped private medical clinics that specialize in improving reading, spelling, writing, comprehension, memory, reason/problem-solving, language, and speech difficulties. ParentingPod.com’s guide to dyslexia (https://parentingpod.com/dyslexia/) offers some wonderful details about the signs, symptoms, and treatment for dyslexia.